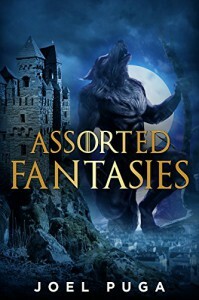 Assorted Fantasies is full of short stories, which from the first is obvious there is more to the stories than I am getting; however they are also all related. It took a few of the short stories before I got a better understanding of what was going on, but I still know that I am missing the bigger picture. For myself, I doubt I'll read this again, it was just a little bit too dark for my liking.